Whether you’re shopping for your kids’ dad, your own father, or both, the man in your life doesn’t make Father’s Day easy. Guys are notorious for claiming they don’t need anything, and they often refuse to give you a single hint of what to get them. In the past, this lead you to give questionable presents — many of which, like that bottle of cologne, are collecting dust somewhere inside his closet. If you’re tired of giving disappointing gifts, then turn to the tech-side of life for inspiration. This tech-filled guide will help you find a fantastic Father’s Day present worthy of the man himself. From customized iPhone decals to practicaldevice trackers, there’s a trendy gift for every guy on your list. 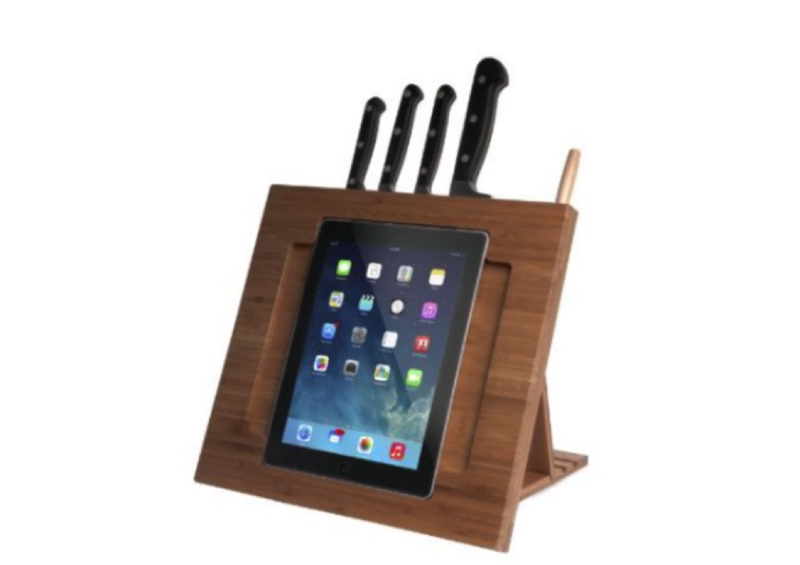 If dad’s a regular Gordon Ramsay in the kitchen, you can up his culinary game with a stylish iPad stand fromCTA Digital. They combine functionality with fashion in their Apple Collection, using clean lines and minimal profiles that mimic the sleek look of his device. His iPad can fit snugly in the stand’s groove, displaying his favorite recipes in vertical or horizontal orientation at three different angles. Its bamboo construction looks smart in any kitcheneven when it’s not in use, as the stand moonlights knife block for his sharpest knives. While the X is one of the greatest smartphones, it’s not particularly creative when it comes to looks. Black, shiny, and rectangular, the X shares its style with most handsets — Androids included. If you’re shopping for a man who’s interested in fashion, then a brand new iPhone X decal helps him overcome his handset’s pedestrian design. Black camo is the latest texture out of the dbrand mold, a company known for high quality iPhone X skins that both protect and stylize the handset. Its grey-scale pattern puts all other camos to shame and looks awfully sleek around the X. But don’t worry if he’s just not that into camo. There are other unique textures and colors available. Once pops gets to a certain age, his grooming routine includes regular nose-hair trimming. 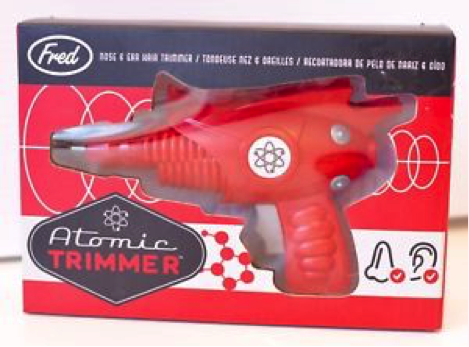 While this isn’t usually a cause for celebration, you can help make his task a little less annoying with the Atomic Trimmer. Nicknamed Fred, the Atomic Trimmer looks like a sci-fi gun out of the original Lost in Space — though its retro geek-chic design might stick out like a sore thumb in Netflix’s latest remake. Dad just has to press its trigger like he’s shooting aliens to engage the trimmer’s steel blades. Reviews suggest it works on even the most hirsute of men. 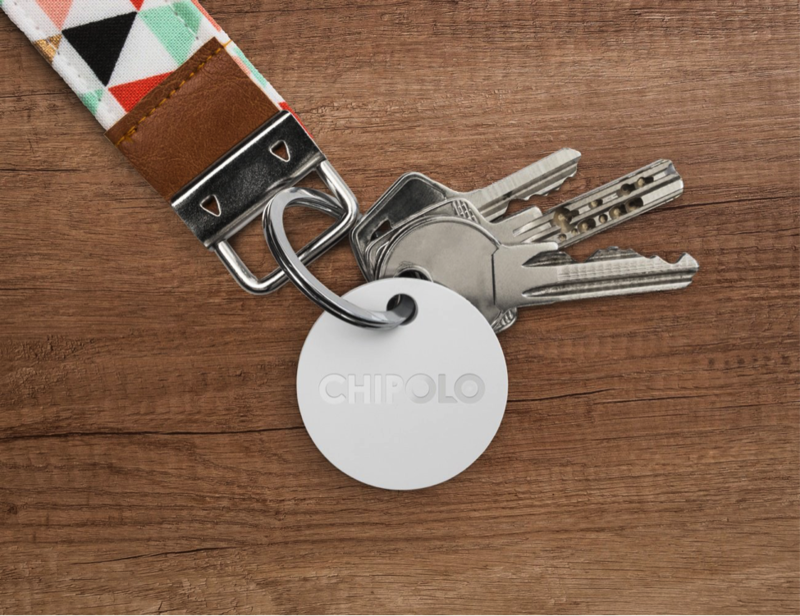 If dad regularly loses his keys, his phone, and anything else he holds dear, a device finder like the Chipolo Plus tracker can help him find the latest missing item. This traceable disc syncs with his iPhone and uses Bluetooth to communicate with his belongings. All he has to do is connect the Chipolo Plus to the items he loses most often,then make sure the tracker’s connected to the app. The disc pings its location using his phone’s GPS to alert him when he comes within a 60-meter radius of his keys. If he finds his keys but not his phone, the Chipolo has a way to reverse the tracking, so his phone makes a noise until he finds it. Just because you’re celebrating Father’s Day doesn’t mean you’re stuck shopping from the typical Father’s Day presents. Get something he’ll actually use. Leave the bad gifts behind for a tech-inspired present he’ll love. Many people dream of moving to America, be it alone, with a partner, or with their entire family, but why should you consider moving to America over any other destination? Take a look at our top five reasons to move to the USA and discover why a move to the states is a good idea. One of the bonuses of moving to an English-speaking country is that you won’t have to handle the immediate difficulties of learning a new language, which you may have to do if you were moving to another destination. Although there are some slight differences between American English and British English, you will soon grasp the different spellings and turns of phrase. America is renowned for offering super-size everything and it is hardly surprising as the country itself is approximately 40 times bigger than the UK. Houses are bigger, portion sizes are larger, and, in some instances, personalities are bigger. Certain careers can prove very lucrative in America, especially jobs involving healthcare. If you are moving to America with your children you will want to ensure they will have access to excellent career prospects, and if they are interested in entering the field of health care, then their prospects will be excellent. When you view schools, such as Respiratory Therapist Schools In Ga and the standard of education they offer in America, you will begin to understand why so many people choose to emigrate to the U.S.
Americans are renowned for embracing British culture, and they adore the royal family, especially with one of their own marrying into it, so you can be sure of an enthusiastic welcome from your new neighbours. Your accent will be enough to have people eager to speak to you, and if you are a proud Brit, not only can you continue to be take pride in your heritage, but your new American friends are certain to embrace it too. British weather can be temperamental, and summer is never guaranteed, which is one reason that so many Brits decide to relocate to the warmer of California, or Florida. Enjoy beautiful weather pretty much all year round. Research shows that sunshine can improve mental health, and that lack of sunshine can cause depression, fatigue and Seasonal Affective Disorder. 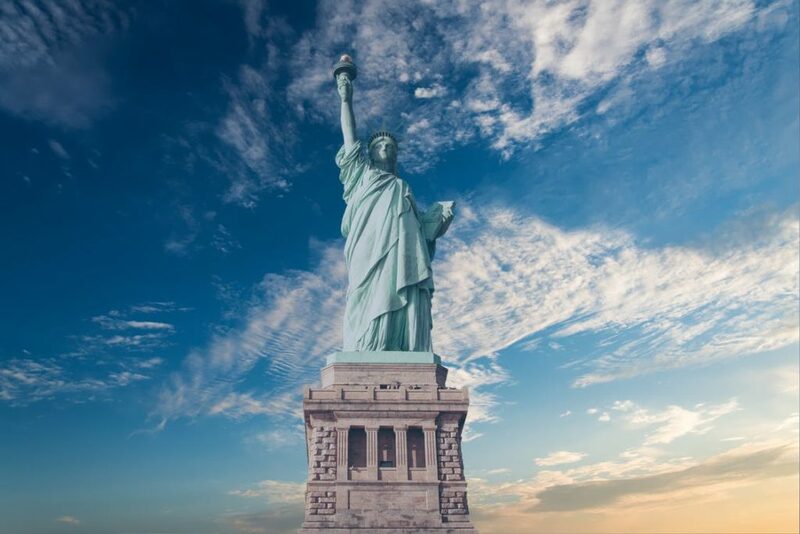 Of course, there are many more reasons to move to the U.S.A. and it will depend on your personal circumstances whether a move to America is in your best interests. It is important to research your move thoroughly, including what paperwork you will require, the specific visa you need, and the amount of money you will realistically need to move. Other factors will also have to be considered, such as storage or delivery of your belongings, transportation of pets, and the impact moving will have on your family. If, after all these considerations you decide to make the move to the U.S.A. enjoy preparing for your new life abroad. People often say ‘Healthy Moms are Better Moms’ and they are not wrong at all. Moms are the nucleus of a family, and the proper upkeep of the whole family rests on their shoulders. The responsibilities are even more for the working moms as they cannot leave their household responsibilities for their job. They certainly undertake a great workload that often disturbs the right balance in the body and life too. In such a situation, the working mom needs to take one more responsibility but that is for herself only. She must know and adopt a few most important wellness tips to keep herself healthy and fit. Following are a few of the most effective tips that the moms cannot forget. Remember, these tips are advisable for all moms whether they are working professionally or not. 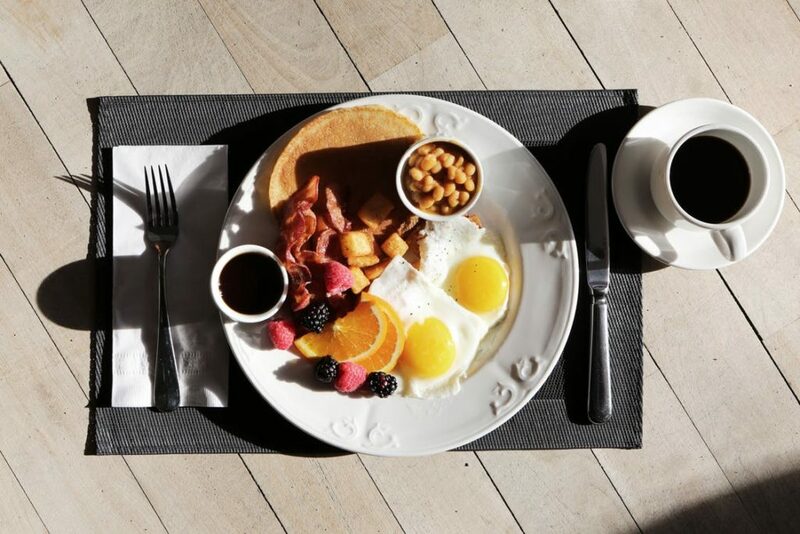 Breakfast is the first meal of the day that has a great impact on the body. It sets the mood of the day and makes you respond accordingly to all your daily activities. No matter what you eat, your intention would be to eat right and eat balanced. A balanced diet supplies the right nutritive elements to your body and keeps you healthy and fit. You can do good to get a consultation with an expert dietician. The whole world admits the significance of yoga. You can perform some of the most effective yoga exercises that can bring your body the vigor and vitality that you often lose after a hectic daily schedule of tiring activities. You should never get into the habit of eating fast food and junk eatables. They may taste good, but they can never be healthy. The working moms must carry their lunch box with them. Never crave for pizza, burger, and other such foods, as they are never good for the belly, since they are loaded with saturated ingredients. Though you may find it a bit difficult to find time to sleep, still you need to make the best use of the night hours to give your body a perfect rest. You must sleep at least for 5-6 hours in order to refresh yourself to transact your responsibilities the next day. This is a very important aspect that the working moms cannot avoid. You may not notice it, but your body may develop some serious ailment. Getting a regular check up can help your ailment to be properly diagnosed, in case something serious happens. Go for tests like ultrasounds, conducted by trained professionals, who undergo special training, about which you can come to know from websites like Bestultrasoundtechnicianschools.Co. 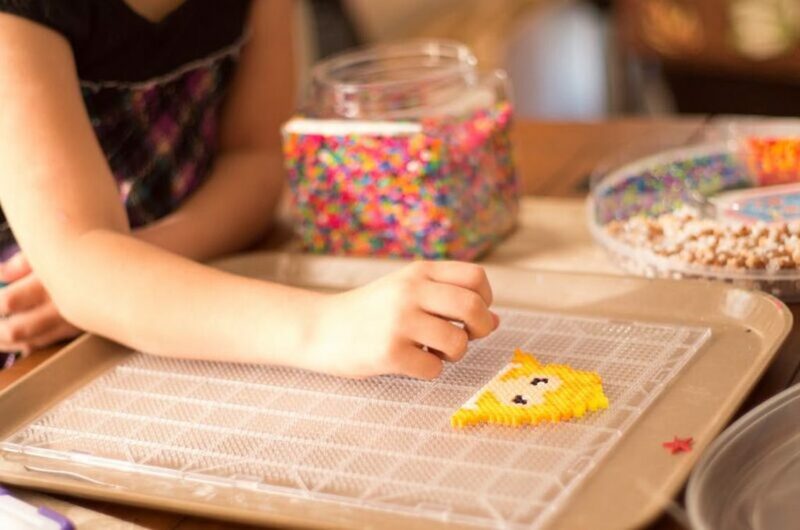 There can hardly be any better way for recreation than playing with the kids. This can be a sort of physical workout that can help you to stay fit. These are some of the best health tips that working moms cannot avoid following to stay healthy and fit. You must take health matters seriously as your role and responsibility can never be undertaken by anyone else. While we may often think that the water we drink is totally fine and free from toxins, this couldn’t be further from the truth. The reality is that our drinking water contains a variety of toxins and their concentration depends mainly on the quality of the water treatment in your area. The quality of our tap water is often very questionable, and many are turning to water filtration systems as a solution. Here are 5 reasons why you should consider investing in one. Bad water doesn’t only affect drinking water, but the water you use while you bathe and take showers is affected too. Hard and bad water can have many health implications and could leave you covered in harmful toxins, heavy metals and toxic chemicals. The only way to ensure that your bath and shower water is 100% clean and safe is with a proper whole house water filter system. Contrary to what many may think, installing a whole house water system isn’t that complicated. If you’re used to DIY installations, then you should be able to install most whole house filtration systems on your own. Another great benefit of a water filtration system is in the taste of the food and beverages you prepare. If you like a fresh cup of coffee in the morning, you’ll be surprised at how much of a difference clean, fresh water can make. It will also enhance the taste of any other recipe that calls for the use of water like cakes, bread, pastries and soups as well. It has been estimated that Americans spend a total of over 16 billion dollars per year on bottled water alone. And what’s worse, is that many of these bottles of water contain nothing but filtered tap water. Can you imagine the amount of money you could save with your own water filtration system over its lifespan? With a whole house water filter, all you’ll have to do is use a refillable bottle and get all the fresh water you need whenever you want without spending a dime. 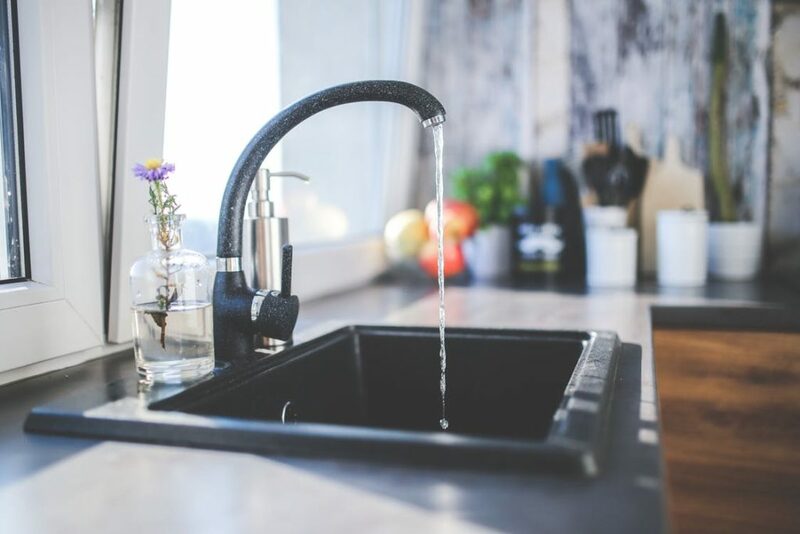 If you didn’t know that tap water could have a negative effect on your indoor air quality, then you’re in for a surprise. Chlorine can be extremely harmful to your lungs and respiratory system, and every time you use tap water, you release a certain amount of that chlorine into the air. This is especially true when the water is hot. That means that massive amounts of chlorine are released into the air every time you take a hot shower or even when you’re boiling water over the stove. So, if you want to ensure optimal air quality in your house, it would be wise to invest in a good water filtration system. If you want more information on how to pick the proper water filtration system for your home, you can visit a site like Water Filter Answers for recommendations. As you can see, there are many reasons why anyone should consider investing in a water filtration system. If you don’t know which type of unit would be best for your needs, make sure that you get as informed as you can before you make a decision.